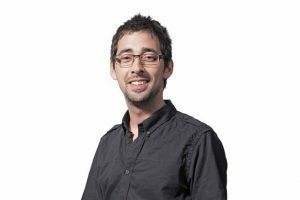 Colin Murray is to return as host of BBC Radio 5 live sports panel show Fighting Talk. Murray, who will be back in the chair from this Saturday, first presented the show between 2006 and 2013. He takes over from comedian Josh Widdicombe and presenter Georgie Ainslie, who have left to pursue other projects. Murray had left 5 live to take on the mid-morning show at commercial rival TalkSport, but announced on Twitter in July that he would leave the station following its takeover by News Corp.
An ardent Liverpool fan, Murray had stated that felt his position had become untenable given News Corp's ownership of The Sun and the notorious coverage the paper had given to the Hillsborough disaster.